Slow's BBQ has the reputation of being one of the best BBQ places in Michigan. I have to say that I agree. Not only do I love the atmosphere, but the BBQ from each region is wonderful. 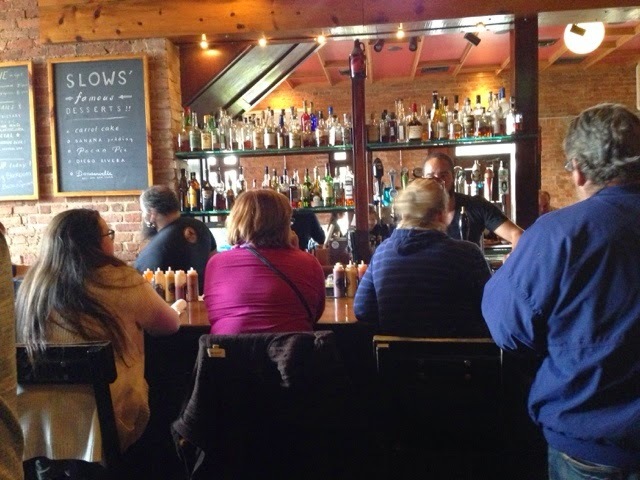 Slow's is located in the Corktown region of Detroit. In addition to BBQ at reasonable prices, they also have an impressive cocktail and rotating beer list. I was especially impressed to see St Bernardus Abt 12 on tap, as well as many Michigan Craft Brews. 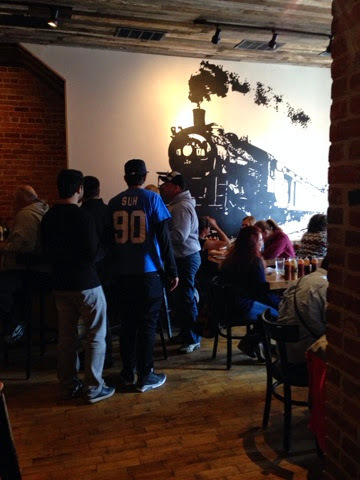 There are multiple bars and dining areas, and there is a great crowd of all ages. There will definitely be a wait during peak times, especially before and after sporting events. 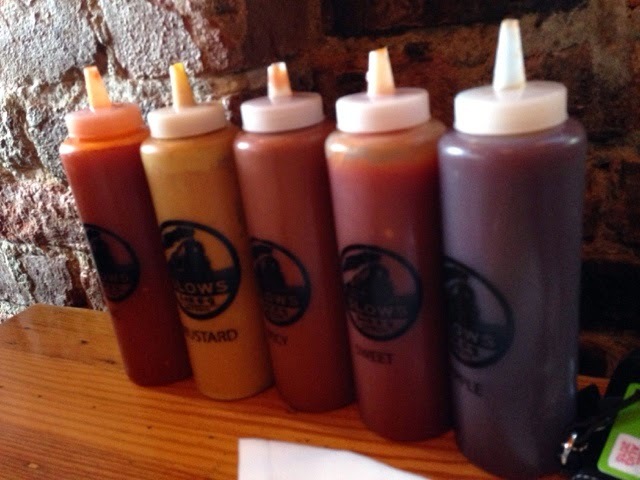 Slow's has BBQ sauce at each table. S.C. Mustard, N.C., Apple, Sweet, and Spicy. My personal ideal BBQ sauce is a little heavy on the vinegar with some spice and a little sweetness. For this reason, I felt that the combination of Apple and Spicy was perfect for me. It is fun to try them all. 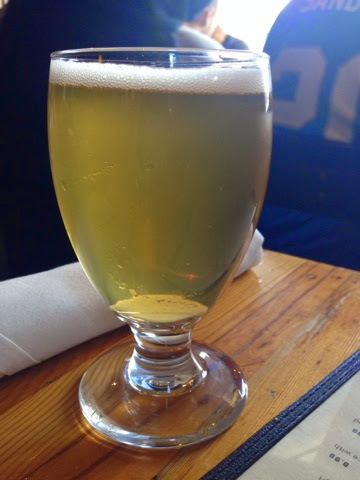 The craft beer menu is always rotating, and includes plenty of Michigan craft brews. You can check online for their current beer list. A brisket enchilada for an appetizer. 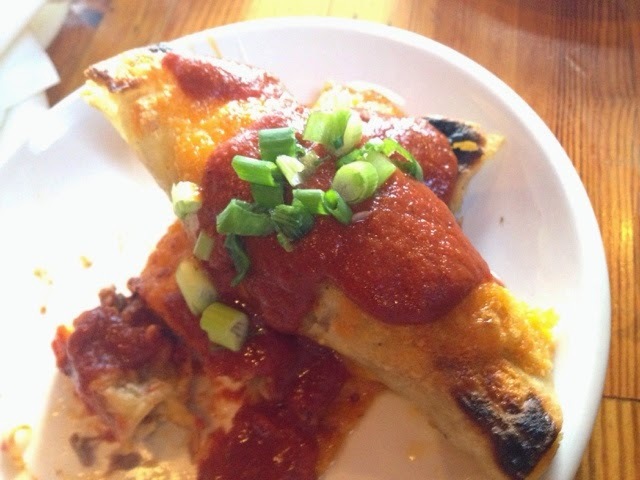 With red sauce, cheddar, and scallions. 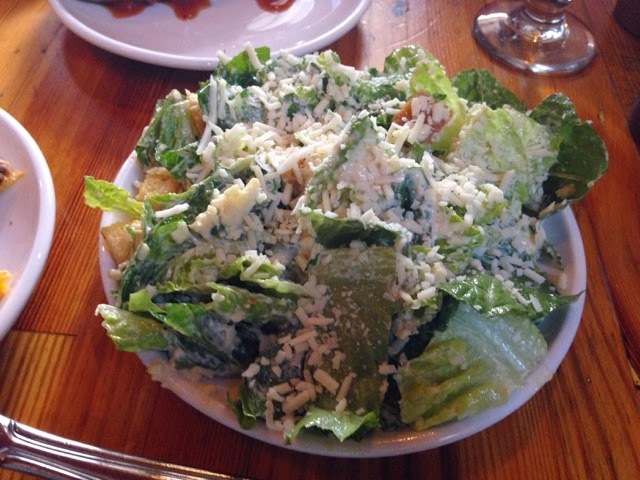 Their Ceasar salad was so fresh and covered in cheese. Their house-made dressing was great too. I highly recommend their side salad if you need something to cut through all of that BBQ. 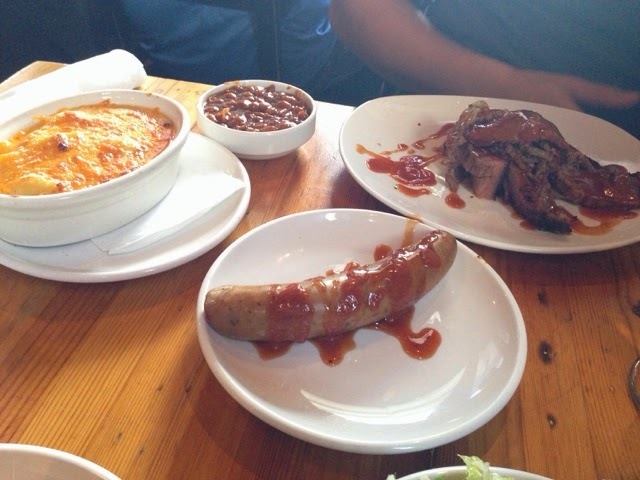 Mac and Cheese, Baked Beans, Brisket, and Sausage. The brisket was smoked perfectly - tender and juicy with a nice smoke ring. The sausage didn't seem like it was smoked, but it was very flavorful. The Mac and Cheese is creamy and everything you'd want in Mac and Cheese. The baked beans were good, but a little heavy on the BBQ sauce for us. Stop by Slow's in Detroit for some great BBQ. It doesn't matter which regional BBQ you like - they have it all! 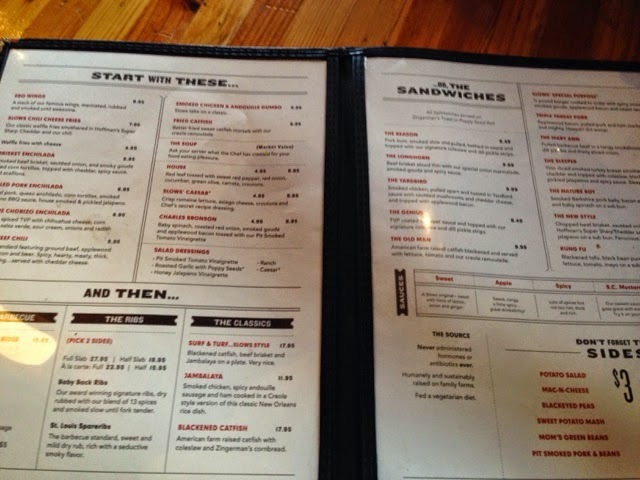 If BBQ isn't your thing, definitely check out their great cocktails and impressive beer menu. It is early November, and the trees are starting to drop the last of their beautiful fall leaves. We purchased a new snow blower this weekend in preparation for another rough winter. We are expecting higher than average snow and low temperatures again here in Michigan but not quite as "persistent" as last year. We'll see! The summer was very mild with lots of rain, and I am already missing it! We took a number of trips this summer, and I am just now catching up with my posts. 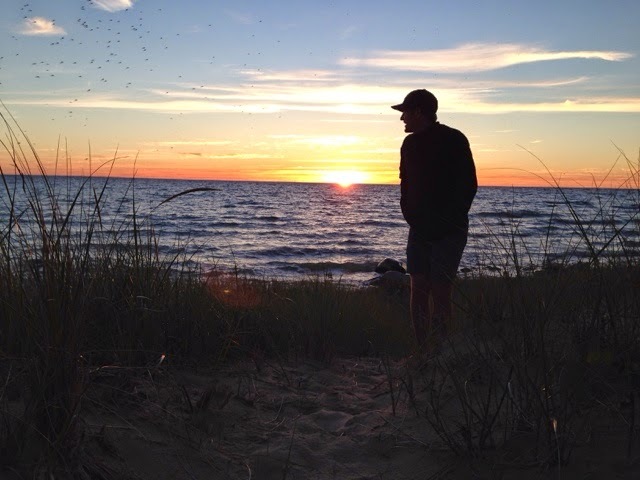 I'd like to write about a very special place to me - Good Hart, Michigan. My Aunt and Uncle purchased a cottage there 20 years ago, and we have been visiting ever since. I even posted a few throwback pictures when Lake Michigan froze on a previous blog post. Good Hart is a small town along the "Tunnel Of Trees" or M-119. It is a scenic highway along Lake Michigan. As you wind along the road, you catch beautiful views of the lake, but the amazing part is the trees. You truly feel like you are in a tunnel of tall trees, which is really unlike any other highway in the state. 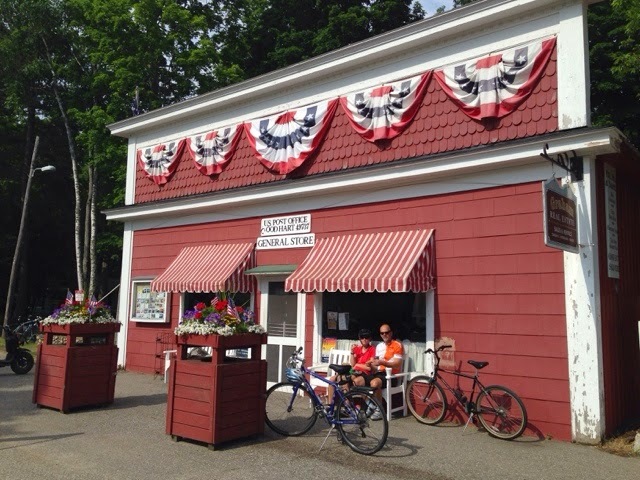 When we first starting visiting Good Hart, there was only one store - the Good Hart General Store. 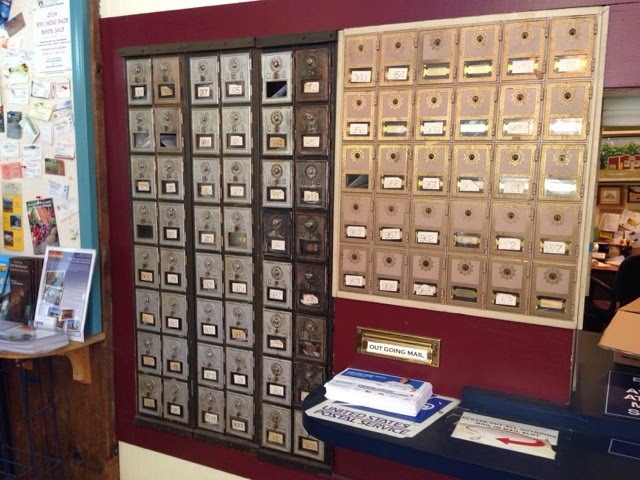 They have pretty much everything you need inside - even a post office. In the back is a deli with fresh made sandwiches and things like potato salad. 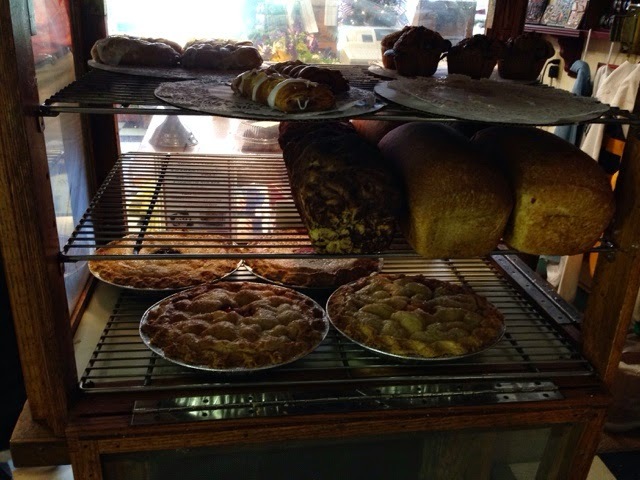 Their bakery is amazing, and pumps out fresh bread, pies, and cookies all day long. 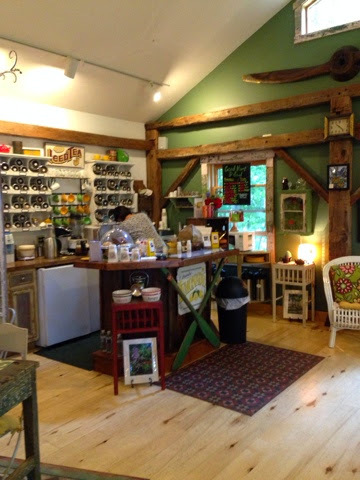 The owners and their family are all so nice and friendly. 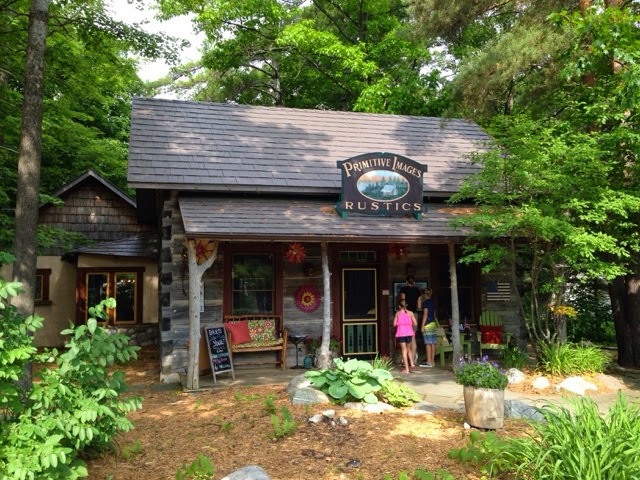 They get to know everyone that stops by their wonderful shop. 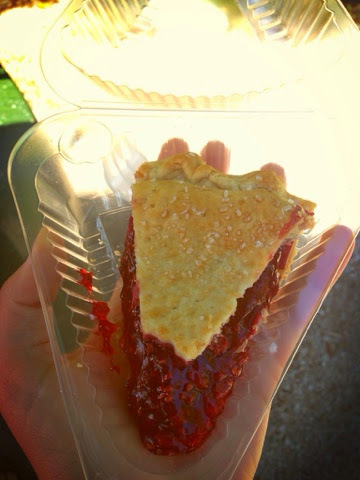 My all time favorites are the Raspberry Pie, Chocolate Chip cookies, and the Swiss Rye bread. As the years went by, some other small shops cropped up near the Good Hart Store. My favorite addition is the Primitives Images. 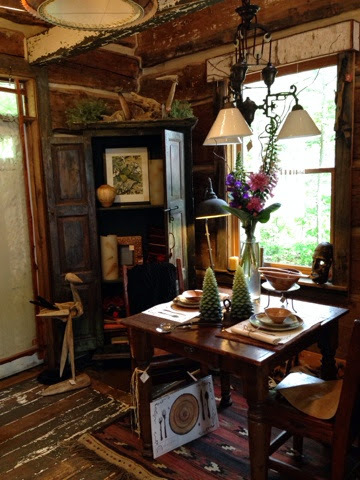 Anything from coasters to a bedroom set, this place has everything you need for a rustic cabin. 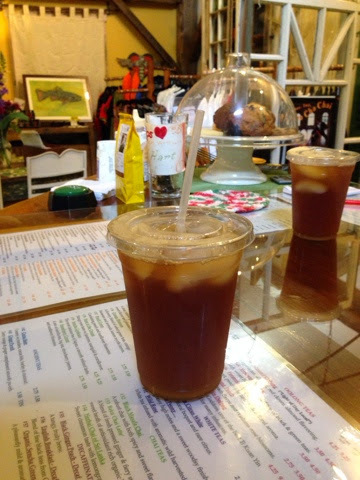 In the back of the store, they have some women's clothes and jewelry along with a small coffee and tea shop. They even have Yoga classes during the summer. 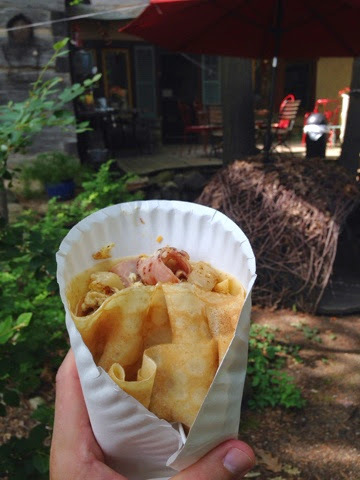 Another great addition is the Crepe Cart. 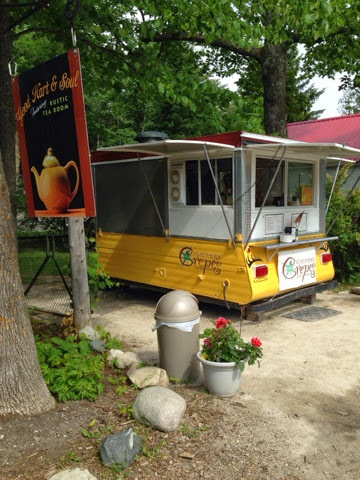 Sweet or savory crepes, this little food truck has some great options. You can even create your own! 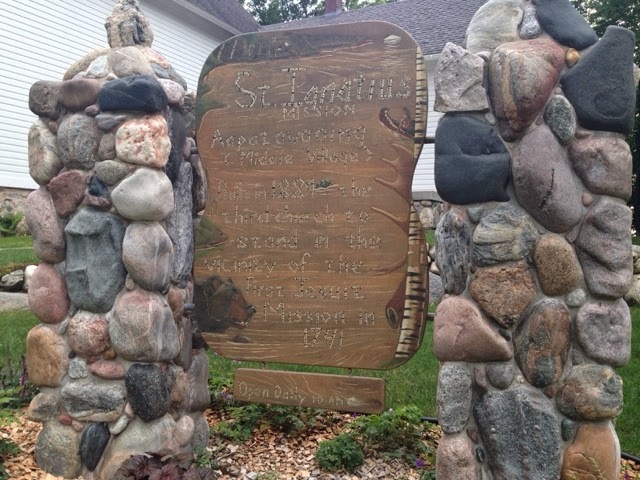 Another good stop to make in Good Hart is the St Ignatius Church. They have a very limited mass schedule, and are closed during the winter. 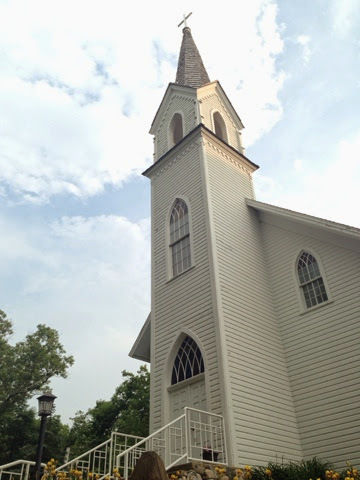 Although the masses are few and far between, the church is open daily for visiting at 10 am. 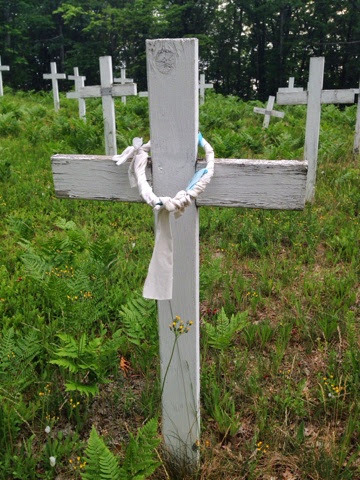 There are rows of white crosses, some marked and some unmarked. There is a very nice boardwalk and beach access behind the church. 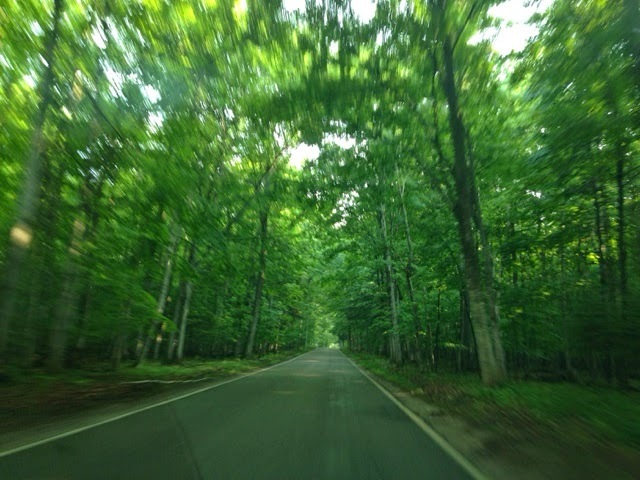 Be sure to stop by Good Hart when you drive the tunnel of trees. 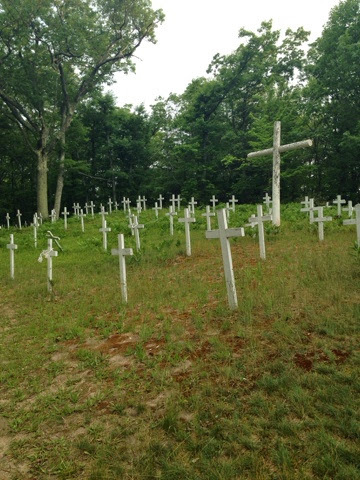 The area is rich in Native American and other history, and is filled with people who love their little town. 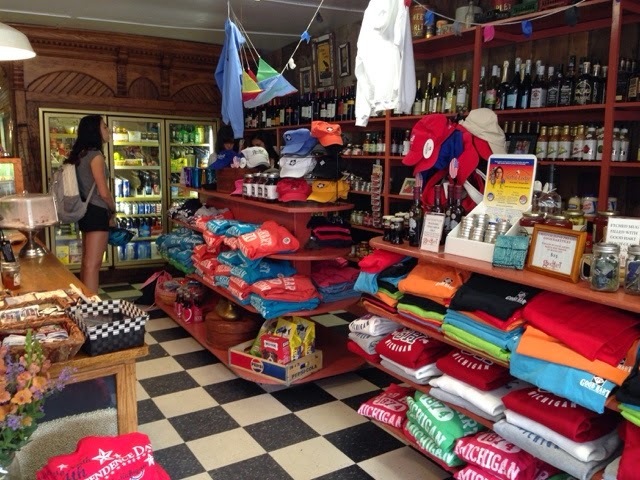 Grab a bite to eat, browse the shops, and stop by the local historic church. One of my favorite places in the world!